Survivorship, an organization for survivors of ritual abuse, mind control and torture, will be having a conference from May 3 - 5, 2019 at the Courtyard Marriott in Long Beach, California. The purpose of the conference is to help survivors of ritual abuse and their allies. The conference is for survivors, co-survivors, supporters and helping professionals. An important conference is occurring in less than three weeks in Southern California. The Survivorship Ritual Abuse and Mind Control 2019 International Conference covers important material regarding severe child abuse, extreme abuse, torture, trauma, dissociation and mind control. Famous speakers have been invited from the United States, Canada and Europe to present on these important topics. The purpose of the conference is to help survivors of ritual abuse and their allies. The conference is for survivors, co-survivors, supporters and helping professionals. At their clinician’s conference on Friday May 3, 2019, Dr. Alison Miller will present on the topic of Deception by Organized Abuser Groups: Helping Yourself and Your Clients Think Through the Issues. She will discuss how abusers’ power over victims depends on their victims believing their lies, and that power can be diminished when victims see through the lies. She will discuss how it is important for therapists to use critical thinking to discern the deceptions, and to help their clients do the same. 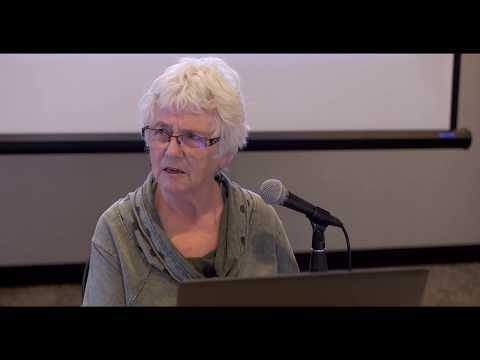 Alison Miller, Ph.D. is a retired clinical psychologist who practised in Victoria, B.C., Canada and worked with survivors of organized abuse, including ritual abuse and mind control from 1990 to 2017. She is the author of Healing the Unimaginable: Treating Ritual Abuse and Mind Control (for therapists), Becoming Yourself: Overcoming Mind Control and Ritual Abuse (for survivors), and co-author with survivor Wendy Hoffman of From the Trenches: A Victim and Therapist Talk about Mind Control and Ritual Abuse. Dr. Randall Noblitt will also present at the clinician’s conference. His topic is The Use of Music and other Auditory Stimuli in Psychological Therapy with Extreme Abuse Survivors. Extreme abuse (EA) survivors often listen to music for enjoyment, relaxation, and emotion regulation. Some music and other auditory stimuli also have the capacity to trigger a variety of responses. Although clinicians who work with survivors often hear about, or observe these phenomena, there is little discussion of them in the clinical literature. This presentation will discuss some of the uses for music and other sounds in therapy with survivors. Randy Noblitt, PhD, is a clinical psychologist (licensed in Texas) and professor of clinical psychology at the California School of Professional Psychology at Alliant International University, Los Angeles. In the course of his practice, Randy has treated more than 300 individuals who met the criteria for dissociative identity disorder. He is the principle author of Cult and Ritual Abuse: Its History, Anthropology and Recent Discovery in Contemporary America (Praeger, 1995. 2000), and its third edition, Cult and Ritual Abuse: Narratives, Evidence and Healing Approaches (Praeger, 2014). He is also co-editor and contributing author of the book, Ritual Abuse in the 21st Century: Psychological, Forensic, Social and Political Considerations (Robert Reed, 2008). Eileen Aveni will present at the Clincian’s conference on the topic of The Complexities of Identifying Ritual Abuse and Mind Control in Your Client. She will discuss how the recognition of ritual abuse and mind control in survivors is complex, as they often present with clues that are not obvious to a clinician unfamiliar with this more complex and severe type of trauma. Her presentation will provide an overview of the clinical features and clues that ritual abuse and mind control may be present in the background of a client, despite apparently unrelated presenting problems. Eileen Aveni, LMSW, LCSW, ACSW, BCD specializes in working with dissociative identity disorder with a focus on ritual abuse, mind control and organized abuse. For almost 30 years she has worked alongside other noted treatment specialists teaching and training clinicians and community groups on the major issues of these survivors and how to help and support them. She regularly presents nationally and internationally. She is a member of the Board of Directors of both Survivorship and The Daniel Coalition, a member of the American Academy of Experts in Traumatic Stress, and the National Center for Crisis Management, and is a Board Certified Diplomate in Clinical Social Work. Survivorship will be providing 6.5 CEUs to licensed clinicians at the Friday conference. Please visit https://survivorship.org/ritual-abuse-and-mind-control-2019-conference/ for more information. Survivorship will have several speakers at the regular weekend conference on Saturday and Sunday May 4 - 5, 2019. Dr. Alison Miller will present on Deception by Organized Abuser Groups: Helping Your Front People and Your Insiders Recognize the Lies and Tricks Which Keep You Enslaved. If you are a survivor of abuse by a mind-controlling abuser group, you have parts who have been trained to obey abusers because they believe lies your abusers told you. If you learn to recognize when your emotions and behavior are influenced by these deceptions, and to discover the ways in which you were deceived, you can increase your freedom from the abuser group. Dr. Randall Noblitt will present on Talking About Triggers Without Being Triggering. This presentation is an interactive discussion about triggering phenomena, with the intent of avoiding causing triggered responses in one another. Being able to discuss triggers without being triggering (or triggered) is one way that survivors can develop their own sense of empowerment. Joseph Lumbasi will present on Barriers encountered by RA Survivors when accessing Support in Offline Spaces (Services). As a support organisation for RA survivors in the UK, Izzy’s Promise has been continuously carrying out research with its service users to identify barriers encountered and how best to overcome such barriers. Since 2002 when Izzy’s Promise was set up, they have commissioned a variety of research projects with abuse support organisations and ritual abuse (RA) survivors to identify how best to improve support services. His intention is to analyse results from research endeavours to present to delegates at the conference and publish the findings into a journal article. Joseph Lumbasi is a dual citizen of Kenya and Britain, educated up to postgraduate level. A graduate of Sociology, Geography, Health Research, Child and Adult Protection and currently a PhD student at the University of Dundee School of Education and Social Work. He has worked in different sectors of the economy, as a media researcher specialising on issues surrounding cultural abuse and violation of human rights e.g. female genital mutilation, trafficking of children and women locally and internationally by use of ritual oaths for purposes of prostitution and other inhuman issues. Joseph is presently the Manager of Izzy’s Promise and a PhD Student at the University of Dundee. He co-authored a journal article (Lumbasi, J., & Barron, I. (2016). Male Survivor Perceptions of Seeking Support: Hermeneutic Analysis of a Cluster Case Study. International Journal of Social Work, 3(1), 91. Eileen Aveni will present on the topic of I Believe You: A Therapist Looks at 30 Years of Work with Survivors of RA/MC. She will discuss what survivors have taught her about their journey, what actually happened to them, their incredible resilience, what got them through their recovery, and what they are doing today in their recovered lives. Neil Brick will present on A Survivor’s View of Recovery from Ritual Abuse. Recovery from ritual abuse can take many years. Every individual has different experiences that lead them through the recovery path. Neil Brick will discuss his long journey healing from severe abuse. This will include ways he has learned more about himself, ways he has learned to develop healthier interactions with others and ways he has helped others along the recovery path. Additional research is available online about conference topics. Child Abuse Wiki - Ritual Abuse http://childabusewiki.org/index.php?title=Ritual_Abuse Ritual abuse exists all over the world. There have been reports, journal articles, web pages and criminal convictions of crimes against children and adults.